Arizona is a beautiful state with the capacity to grow plants and trees from all over the world, and palm trees are among the most common, at least here in the valley. 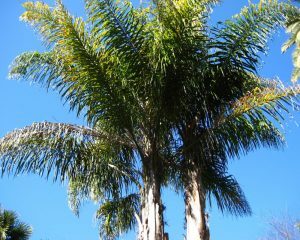 Palm trees are made for the heat and can grow in Arizona as well as they do in the tropics, without too much trouble. They need little maintenance and only need to be trimmed or pruned once or twice a year, but knowing when to prune palm trees is the tricky part. Many Arizonans consider winter the perfect time of year to prune trees because most trees come from colder climates than ours and go dormant in the winter, but you don’t actually want to prune palm trees in the winter. In fact, there are some people who suggest never trimming your palm trees, but that isn’t a practice we recommend. There is a great reason to wait until spring to prune your palm trees: insulation. Dead palm fronds, though they are ugly and droopy, can protect the trunk of your palm tree from the sunlight and heat of the summer sun, as well as the frost and cold of the winter. Palm trees thrive in Arizona for 8-10 months of the year, but in our cold season, without their umbrella of branches to trap warm air in and protect their core from the cold, you could lose them. Dried out branches are a fire hazard and can catch a spark quickly and spread it to other trees or structures in a rapidly expanding inferno. If left to build up, the fronds, some of them very heavy and high up, can fall or be blown off during our summer monsoon storms and other wind and rain storms. Falling branches, otherwise known as “Widowmakers” are unpredictable, but as you drive around the valley in the summer, you will probably see some dried out fronds hanging in neighboring citrus trees, over fences, or from power lines. Rodents and birds like to make nests in or behind dead hanging fronds, often burrowing into the trunk of the tree itself. This can damage and even kill the tree, which presents a whole host of other problems, such as dead palm trees snapping and falling over in a monsoon, which would be like a thousand-pound widowmaker. If you don’t have the tools, the time, or the desire to prune your palm trees, give us a call. We’ll give you the information you need to know about your trees before cutting them and we’ll prune them safely and quickly. If you are considering pruning it yourself, there are a few things you’ll want to consider: You’ll need to be sure you have a ladder you can reach the fronds with, without standing on top of the ladder or leaning it against the tree. Few things are as disorienting as balancing on a ladder and working with your arms over your head. It’s easy to lose your balance and fall or get knocked off of your perch. Add to that a 10lb+ cutting tool over your head and a 30-100lb tree branch that you’re cutting off, also over your own head and you have a recipe for disaster. Please stay safe: It’s cheaper than hospital bills or funeral arrangements. 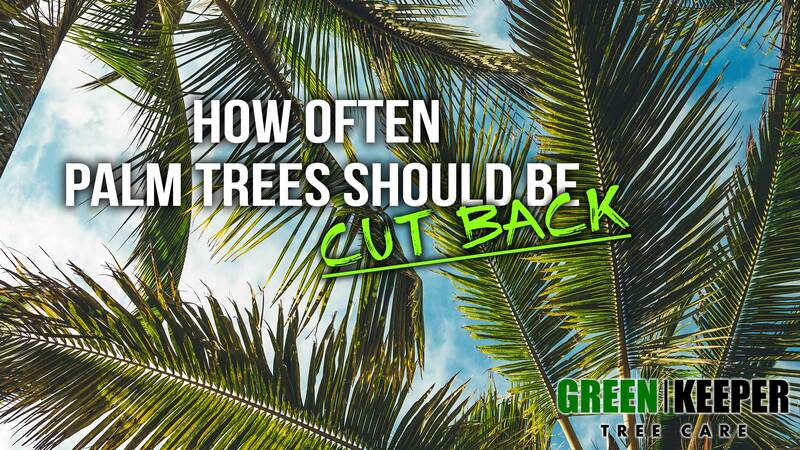 If you are able to manage your own palm tree cut, there are some safety tips that will help make the experience better for you. Start with the lowest branch and work your way up and around the natural spiral of the tree. This will ensure that your branches aren’t getting hung up on neighboring fronds, or dropping on your own head. The closer you are to the trunk the more new leaves you will come in contact with. New leaves at the base of the fronds start out as stiff spikes 4-10 inches long and they can, if you’re not careful, stab you, I have seen it happen and it will quickly bring your job to a halt! If you’re at the top of a ladder, it can startle you into an even more dangerous situation. Wear Safety glasses, protective gloves, heavy pants, and a long sleeve shirt to ensure that neither the fronds, the trunk, nor your tools are able to reach your skin during incidental or accidental contact. So, while you’re trimming back your other trees and shrubs this winter, remember to wait until spring to prune your palm trees. 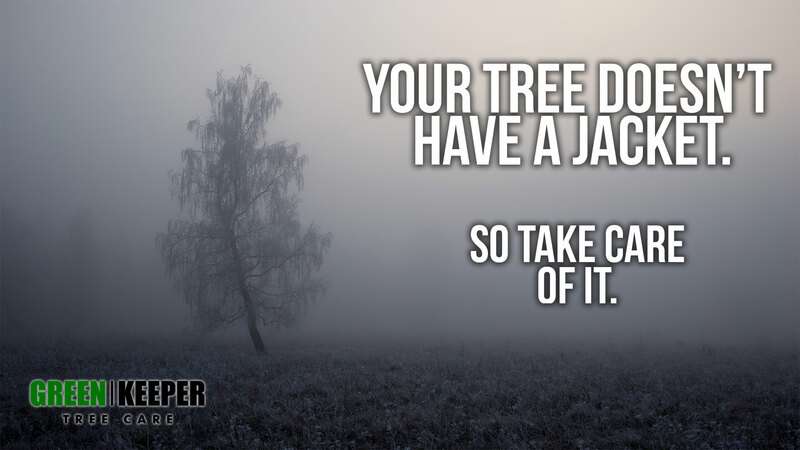 And unless they’re small palms, it’s probably a better idea to call in the professionals here at Green Keeper Tree Care to handle all of your tree’s needs. 3 tips to help you keep your trees healthy all winter long. Winter will probably be pretty mild here in the valley, it usually is and it’s been a few years since we’ve had a real freeze here. It may not get below freezing or even below 40°F in the Arizona desert, however, it still gets cold enough to damage your trees. If we do have our first cold winter in the last few years, the outcome could be even worse for your teeth. We’ve got a few tips to help your trees see their way safely into the new year. Water your trees once a month when the temperature starts cooling down. Use bed sheets or burlap to cover the branches of young trees. Do not use plastic sheeting or tarps, it will trap the moisture and can damage the trees. Get rid of any dead foliage and overgrowth. Make sure that your trees have their best chance to survive the winter by reducing your watering, covering the younger trees and getting rid of all dead foliage or overgrowth will help keep your trees healthy and thriving. If you plan on using this season of dormancy to trim your trees back, take these tips into consideration and you’ll have healthy trees all winter long. 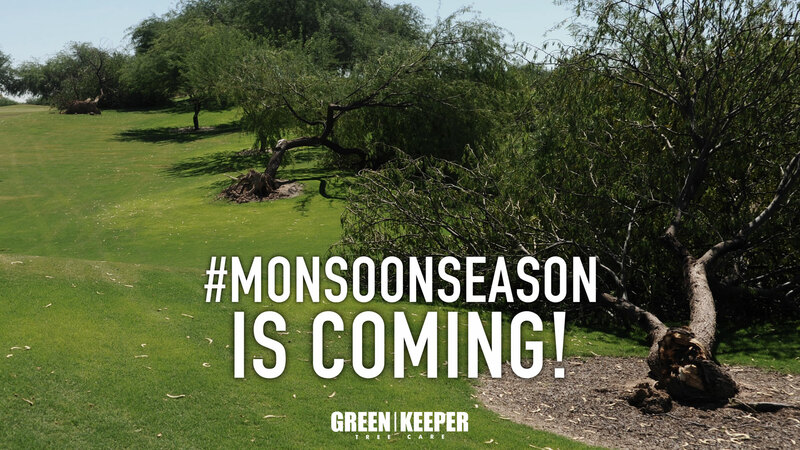 For more information on keeping your trees healthy or some help with it, contact Green Keeper Tree Care today. Do you have a thriving landscape? Beautiful trees and shrubs can enhance the curb appeal of your property, however, knowing how your trees and shrubs need to be pruned and cared for can be challenging. Trees and shrubs need different types of care, depending on the types of root systems, leaves, energy storage and flowers/fruit/seeds they produce. If you don’t know the details about your home’s landscape, having an expert care for your trees and shrubs could be a great option for keeping them healthy. People tend to think that trees and shrubs are able to take care of themselves since they seem to be more hearty than grass, unfortunately, that isn’t the case. Like grass, trees and shrubs need nutrients and a trim every so often in order to keep thriving. Feeding, watering, and trimming trees and shrubs helps them remain healthy and keeps your landscapes looking beautiful. Taking care of a landscape with trees and shrubs calls for a lot of work and time, can you afford to do it yourself? When you hire tree and shrub care professionals, you aren’t only getting a beautiful landscape but healthy trees and shrubs. 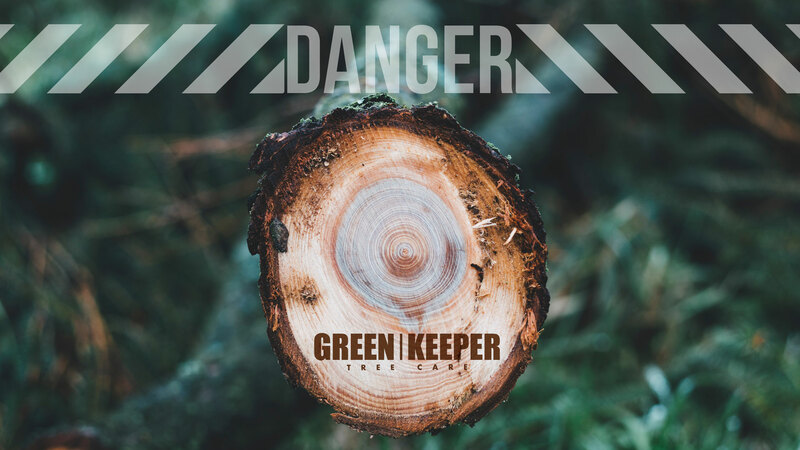 Whether you need help maintaining your commercial landscape or your residential landscape, the experts at Green Keeper Tree Care know what your plants need and will be able to keep them healthy and looking beautiful. 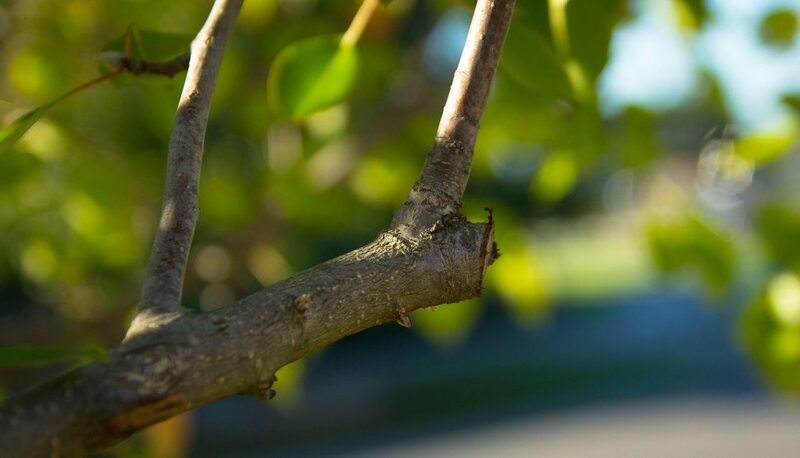 At Green Keeper Tree Care, we know when and how your landscape needs to be cared for in t trees and shrubs so they can look their absolute best. We typically fertilize 3 times-a-year, 2 times in the spring and 1 time in the fall, and use a slow-release, balanced granular fertilizer with a micronutrient package. For an additional fee, we can also apply the chelated iron to plants with iron deficiency during the spring and fall. Whether you need help removing a plant or want to start a recurring maintenance plan, Green Keeper Tree Care has you covered. Call us today!